Mosquitoes are a pest capable of ruining a great day at the park, a romantic evening on a deck or even just trying to get a little relaxation by spending time in a vegetable garden. People will do anything to avoid being bit but mosquitoes are very good at finding their prey. If you enjoy the great outdoors, get used to dealing with mosquitoes. They are here to stay and this article will explain methods of control you may use to help diminish their numbers around the home. There are over 150 species of mosquito in the United States; over 3000 worldwide. Almost all fall into four common genre: anopheline, culex, culex pallens and anopheles. 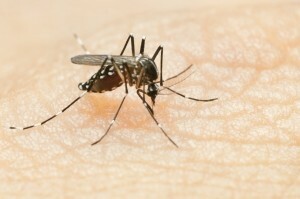 In the United States, regional mosquitoes are known as house mosquitoes, southern mosquitoes, northern mosquitoes, day-biting mosquitoes, asian tiger mosquitoes, yellow fever mosquitoes, salt water mosquitoes, salt water marsh mosquitoes, swamp mosquitoes, glades mosquitoes, dark rice field mosquitoes, black salt marsh mosquitoes and malaria mosquitoes. Some are able to fully develop from eggs in less than a week. Most take 10-14 days to reach maturity but what is important is that mosquitoes do grow rapidly. Mosquitoes need some form of moisture and in general, high levels of moisture to sustain themselves. Although female mosquitoes may live for up to a year, most die in the season they were born. Mosquito populations are able to continue from year to year because all stages are able to “overwinter” or hibernate and start their cycle again the next spring. It may be the adult, the pupa, the larva or the egg needed to continue the specie. Each species has different winter survivors but the following season, the problem is the same: biting mosquitoes. In general, mosquitoes need a good meal to trigger reproduction. But amazingly, some adult females don’t. In general, male mosquitoes live a short time; on average just 1-2 months. Female mosquitoes will typically lay several hundred eggs and are able to generate huge populations within a short period of time. Although standing water is the prime location for them mosquitoes to reproduce, there are many locations around the home that afford fertile egg laying areas. Such places include water in the bottom of planters, drainage streams, street sewers which don’t drain completely, rain barrels, buckets of water, swimming pools, drain lines from rain gutters, old tires, mulch around the home, shrubs, trees, firewood, slow moving water, small decorative ponds for pet fish, bird baths, water accumulating around windows or doors, water accumulating from an automatic sprinkler system, pet water dishes, leaks around water spigots and just about anywhere water is used or is able to accumulate during the warm summer months any where in the country. Most people believe mosquitoes are coming from great distances to their yard in search of food. In fact, most mosquitoes migrate to a yard by chance (or a good wind). Once on the property, it won’t take long for them to find the shady, moist section where they’ll be most comfortable. Mosquitoes don’t migrate far from where they will find adequate shelter and protection from the hot sun. Shade and moisture are two ingredients needed for their survival and can be found around any home so it doesn’t take many locations for them to get established; just one will do. If your home is on a lake or pond, the mosquitoes could be breeding in the water. Generally, they will do so close to shore. Don’t expect to find them more than 10 feet from shore. They like shallow water and will keep themselves close to plant life and wet lands if possible. Open deep water which is moving is not the kind of water they like for reproduction. Mosquitoes will stay where the breeding and shelter areas are best for them. This means if you are creating a moist shady area around your home, you will be luring mosquitoes. Once they find the shade and moisture to live and breed, expect them to find you and your family for food. An easy way to determine where the mosquitoes are living on your property is to simply stand in certain areas and wait to see how long it takes for them to find you. Mosquitoes will not travel far away from where they are comfortable. The faster you have mosquitoes find you and the more that find you indicate a prime nest or shelter location which needs to be treated. Such “pockets” of mosquitoes exist around most any home and the secret of getting mosquito control is to find as many of these locations. Once found, there are several methods of treatment that can be used. Now that you have determined where to treat, you will need to choose the product best suited for your situation. 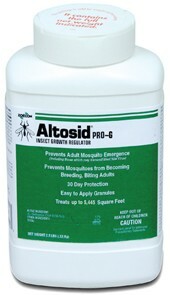 Mosquito products are designed for treating different types of areas. There are five different treatment options or categories. First, there are repellents. 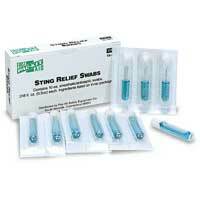 These are used for repelling mosquitoes from any treated area or from people themselves. Realize that using a repellent is not actually a form of “control” since you aren’t stopping the blooming population. But if the local numbers are low, repellents can do an adequate job. Second, there are larvacides. These are products which kill the larva (the young) of mosquitoes as they develop. They are usually applied to water where mosquitoes are breeding. Third, there are liquid products. These are insecticides which can be applied with a standard pump sprayer or a garden hose end sprayer. 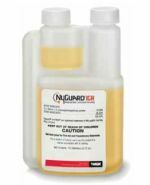 Applied to the surfaces where mosquitoes like to land, the residual of these materials will kill mosquitoes as they enter and land on treated surfaces. 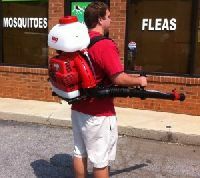 The fourth type of product used for mosquito control is a space spray applied via fogging or misting machines. 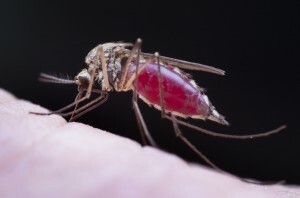 These machines offer the most immediate and complete control of all options and generally the “accepted” professional process through which mosquito populations can be controlled or regulated. The last method of “control” is the use of a trap. These can either contain mosquitoes or kill them. Like repellents, these options won’t get rid of them on your property but for low levels of activity, they can prove helpful. Lets examine these products in detail so you can then decide which one will work best for your particular mosquito problem. Repelling mosquitoes have long been the most common method of trying to control local infestations. In fact, there has never been any real “control” going on; repellents simply push unwanted mosquitoes to another area. Citronella, smoke and other compounds have been used over the years but all met with little if any success. However, we now have several repellents that work OK for certain types of applications under certain conditions. The key here is the type of repelling you are looking to achieve. Don’t think you will be able to keep mosquitoes away from your yard if they are reproducing or nesting close to where you plan on sitting. You don’t stand much of a chance for long term repelling under such conditions (as described above). However, you can achieve some temporary relief with mosquito repellents. These treatments will help reduce activity around your patio or picnic area so that you can better enjoy the outdoors for a picnic or summer party. MOSQUITO INSECT REPELLENT POWDER is a powdery material which can be applied over the turf and plant area when you want to keep mosquitoes away from a specific area. 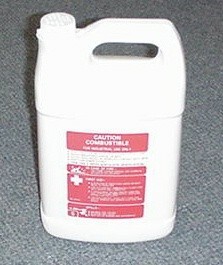 This repellent is easy to use, will last a week or more (under dry conditions) and poses no hazard to people or animals. In fact, it uses a high PH carrier which conditions the soil much like lime. 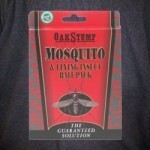 This product offers short term relief and should not be used with the intention of “controlling” mosquito infestations. Mosquito Repellent is designed to be used right before a party or outdoor get together where a reduction in mosquito activity is desirable. 1 lb will cover 600-800 sq/ft and should be applied every 1-2 weeks as needed. Combine the Repellent Powder with some Linalool Candles and you will get far better results. Made with essential plant oils, these candles will effectively “block” you from biting pests like no-seeums, mosquitoes and biting flies. The burning process of these candles will release a nice odor to people which is citrus smelling. In the process of burning, Linalool will permeate the area making biting pests like mosquitoes and no-seeums not able to locate targets. The 6″ MOSQUITO CANDLE will last over 40 hours, the 8″ MOSQUITO CANDLE will last over 6 hours and the MOSQUITO INSECT REPELLENT JAR CANDLE will last 75-85 hours. 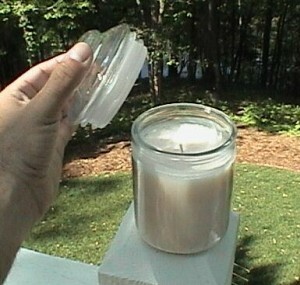 Mosquito Candles are excellent for decks and patios. 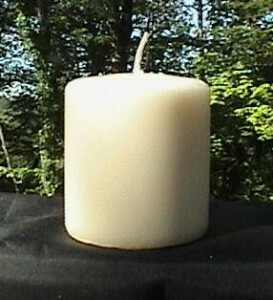 These candles can be brought on camping trips and picnics too. 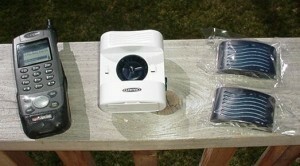 A relatively new product that has come to market is the MOSQUITO BLOCKERS. These devices are small plastic machines which run on 2 AA batteries. They will operate at least 720 hours per set of average batteries that are used to power the onboard small fan. The fan blows out a product called Conceal. This is not a pesticide. Conceal is comprised of plant oils and other natural ingredients which bind to insect olfactory sensors. The impact of Conceal is that mosquitoes and several other biting insects are not able to detect Co2 or octenol – two gases which people (mammals) exhale all the time. By not being able to detect the presence of Co2 or octenol mosquitoes further than 30 feet away will not be able to track your presence. Basically you’ll be invisible to them. Plan on using at least 2 units to protect people on a deck or patio connected to a structure. When sitting out in an open yard, 3-4 machines will be needed. Remember, mosquitoes have a limited range of sight. It is probably not more than 15-20 feet and certainly not more than 30 feet. Mosquitoes which are not able to see any targets will then begin to trail or track their prey by detecting Co2 and octenol. As they fly around they are constantly hoping to find some of these gases in the air. Any breeze will carry your exhaled breath several hundred feet and mosquitoes along this path will be able to trace it back to it’s source – YOU! Replace refills as needed; in general they should last 30-60 days. Personal repellents are products you wear which help keep mosquitoes away. One such product is the BUG BAND. 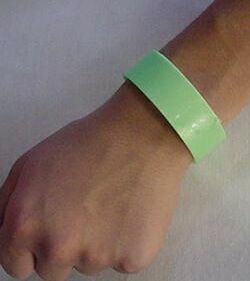 These are worn around the wrist and release a scent which actively confuses mosquitoes and prevents them from identifying you as a target. Bug Bands will last many hours, can be stored for long term reuse and can be worn by both adults and children. Available in 3 colors, bug bands will last up to 40 hours; for added protection, wear one on your ankle and one on your wrist. Another type of “personal” mosquito repeller is the PERSONAL BITE SHIELD. These devices are made of a strong durable plastic and feature a small fan which is powered by two AA batteries. The unit holds repellent cartridges which release an organic and natural mosquito repellent called Geraniol. This active is extracted from plants where it serves as a natural repellent that the plants themselves use to keep predatory insects away. Each cartridge is snapped onto the Bite Shield and the fan is turned on which disperses the Geraniol around the person wearing the device. 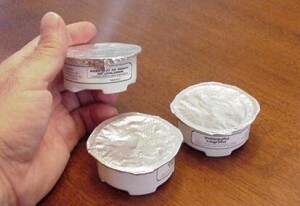 It’s about the size of a pager, fits on your belt or can be set on a table, ledge or other area where you are sitting. The pleasant light odor released will keep mosquitoes at bay naturally and it can even be hooked up to an external power supply. If you plan on going afield and want something to protect your skin consider 100%DEET. Its as powerful as you can get and lightly misting any exposed skin will usually stay protected the whole day. If you prefer a lotion, DEET 20% will hold up well and even though its a weaker formulation, applications will “stick” on your skin longer so you typically only need one application per day. For complete clothing protection when traveling abroad or into areas where mosquitoes pose a health risk, apply PERMETHRIN AEROSOL to all gear and clothing. Permethrin is odorless, labeled for many uses and will keep mosquitoes away since it acts as a detectable repellent they don’t like. And since it works on other nuisance pests like gnats and no-seeums, it can provide much needed relief from several types of annoying pests. Another way to keep from getting bit is wear a MOSQUITO HEAD NET. These nets are lightweight and come with elastic bands. 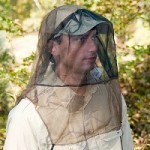 Simply pull them over your head and they will fit snug enough to keep mosquitoes off your face but loose enough so you will still be comfortable. These are an excellent item to bring along when fishing or camping and the pressure from mosquitoes or other biting pests is simply too great. The screen is pre-treated with Permethrin so it offers some repellency as well. If you want no chemicals on it simply wash it once and all the Permethrin will be gone. However, we suggest spraying it periodically with the PERMETHRIN AEROSOL listed above to give it added repellency when going afield. If you’ve sustained mosquito bites and want to minimize the discomfort with some first aid ointment, MOSQUITO STING RELIEF SWABS work great by neutralizing the itch and reducing the swelling. They’re small to carry afield and they on contact helping to soothe the discomfort immediately after being applied. 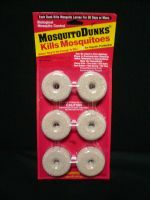 MOSQUITO DUNKS look like a donut and are used in water where mosquitoes are reproducing. These dunks will slowly melt away releasing thousands of bacteria which kill mosquito larva when the larvae feed on the bacteria. By killing the larva, the mosquito reproduction will stop. This has been an effective and time tested control method over the years and the dunks are both easy to use and maintain. More importantly, Mosquito Dunks are so safe they can be used in ponds, bird baths and water holding tanks without presenting a hazard to pets, wildlife or people. They can be used in retention ponds, catch basins for plants and drainage ditches. Use them anywhere you know that water will be held for 3 weeks or more. Because the bacteria is simply digested by mammals (which includes pets, people and wildlife), there is no hazard to this product being used in water used for drinking. Each dunk will cover up to 100 sq/ft and should last 30 days. If you have small areas with water to be treated, the dunks can be broken up but MOSQUITO GRANULES will probably work better. Because they release quicker, Mosquito Granules will impact the developing mosquito larvae that much faster. 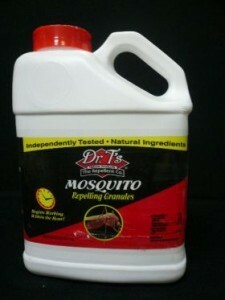 Mosquito Granules have a short life; you may need to treat once a week since they break down so fast. However, they are perfect for small areas such as plant catch pans, bird baths and rain barrels. Made from the same bacteria as the original dunk, Mosquito Granules are able to stop developing mosquitoes from reaching adulthood and are an excellent option for small “mosquito pockets of moisture” commonly found around the home. A teaspoonful will treat 25 sq/ft and should be renewed every 2 weeks. The 8 oz jar will protect just over 2100 sq/ft. If you want something like the all natural Mosquito Granules but stronger and longer lasting, go with METHOPRENE GRANULES. These look like the other granules but use a growth regulator instead of just a bacteria to impact growing mosquitoes. The active ingredient in this granule is Methoprene. Commonly used for flea control, Methoprene will stop mosquitoes from being able to mature to reproducing adults. Since Methoprene is essentially a protein, this product is still very safe to use and is labeled for all the same areas as the other granules. However, these granules will work a lot better than the bacteria based Mosquito Dunks/Granules. For standing water, moist and wet compost or flower beds, water gardens, tree holes, roof gutters, pool covers and just about anywhere water can collect to invite mosquitoes which won’t be used for consumption, the Methoprene Granules are a good fit. 2.5 lbs will treat 5445 sq/ft of water for 30 days. If you have a lot of plant life and landscape around the home that requires water throughout the growing season, chances are you will attract mosquitoes. Shrubs, annual flowers, thick Fescue and Bermuda grass or ground covering ivy all provide pockets of moisture where water can last and provide prime breeding locations for mosquitoes. As warm and hot summer months dry local wet lands, expect mosquitoes to migrate in search of moist, shady areas. Your landscaping becomes an excellent alternative nest site for these migrating mosquitoes. Many pool owners or homes with decks and porches provide perfect conditions for mosquitoes to nest and reproduce. The shade and moist areas are what mosquitoes need to survive and you will notice populations increasing as the hot summer sun diminishes local watering holes that were so abundant during the early spring rain seasons. 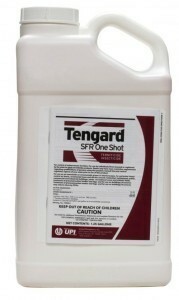 For small landscapes, the use of a residual concentrate can help provide relief. If you have 2,500 sq/ft or less to treat, CYONARA RTS is one of the easiest materials to use which actually works. Simply hook it to the garden hose and turn it on. 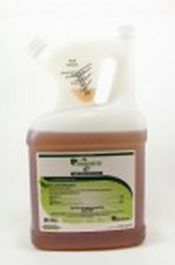 There is no mixing needed and it’s safe for use on lawns, plants and even vegetable gardens. Each quart will treat up to 15,000 sq/ft so it’s quite cost effective too. For mosquitoes in the home, you have two treatments which work well. The “manual” option is PT-565 XLO. 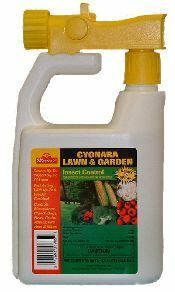 This product uses pyrethrum as the active ingredient and will kill mosquitoes quickly. Spray it for 5-10 seconds in any room with activity and you’ll see immediate relief. It is easy to use and treatments will provide several hours of control. But since mosquitoes will be hatching daily and since there is no way to kill developing stages, you will probably need to use it many times a day. But it is safe for use this way and won’t pose a hazard to people or pets. For a more “permanent” way to control the problem inside, install AEROSOL MACHINES with CLEAR ZONE refills. These machines go off every 15 minutes by default and will be releasing a small 1 second blast of the same pyrethrin found in the PT-565. Safe enough to be deployed in kitchens, bedrooms, etc., they’ll do the work for you so you don’t have to worry about missing a treatment. Use one machine for every 400 sq/ft of area and set them on a shelf at least 5-6 feet up. They can also be mounted on the wall. Each machine will require one can of Clear Zone which will last 30 days when run continuously. For yards 5,000 sq/ft or more, fogging or mist blowing will prove to be the best way to treat. This method is actually quite easy to do and overall, will save you a lot of time. More importantly, you’ll do a much better job and use about 1/10th as much chemical compared to spraying. For small areas, go with the MINI FOGGER. This unit has a 32 oz holding tank and is strong enough to shoot the mist 15-20 feet. For 10,000 sq/ft or more, get either the FM6309 or the FM6208. 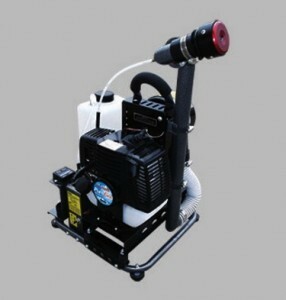 These machines are able to pump a lot of chemical over a large area in a short amount of time. For some users, being able to “cut the cord” is important. So if you’d like a completely portable unit, get the BACKPACK MIST BLOWER. This device has a 3.5 gallon tank and is powered be gas. Perfect for 1 acre or more, this unit can blow a mist 50+ feet and plenty powerful to handle most any job. Simply fill up the tank, make sure you have enough gas and you can go wherever the noseeums may be hiding! Great for property where being free from electric cords is necessary or if you have a lot of areas to treat on a regular basis but need to move from one point to another as you treat. If you have several acres to treat, consider getting a truck mounted machine like the MINI-LITE ULV. This machine can create ultra small particles so you use even less chemical compared to the machines above. It weighs about 29 lbs and can be mounted on any ATV or small pick up truck for large scale mosquitoes control maintenance. Once you decide on which fogger will fits your need, you’ll need chemical. We have found a trio of three products work best for noseeums. In fact this trio works great for mosquitoes, noseeums, biting flies, horse flies, gnats, deer flies and more. The third active you’ll want in the mix is NYLAR. This special material is a “growth regulator” which means it intercepts or blocks the development of certain insects like noseeums, gnats, midges, mosquitoes and black flies. In the long run, using Nylar will effectively be able to stop the mosquitoes from reproducing. It will also last long so new ones entering the area won’t be able to lay eggs that will prosper. For sensitive areas around water ways, ESSENTRIA IC is a federally exempt concentrate made from essential plant oils that’s both safe and effective for a range of pests including mosquitoes. This mixture will work just like a combination of pyrethrin and permethrin and though it doesn’t contain an egg killing agent, using it ever 7-14 days will get the job done without presenting a hazard to people, animals or aquatic life. One last option that can help reduce the local population is to install MOSQUITO PHEROMONE TRAPS. 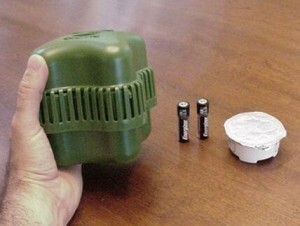 These traps are made with a small plastic jar which is about 32 oz in size. The jar is filled with one quart of water and some “lure”. The lure will attract female mosquitoes and once they enter, they cannot leave. Place 2-4 traps our for the average yard; about 6 per 1/2 acre. Be sure to place them along property borders or where people won’t be active; preferably in moist shady areas. The “egg laying locator” pheromone tends to attract gravid females and by catching them before they lay eggs, you’ll see a big reduction in local populations. Lures will last about 30 days so expect to clean to the trap and renew the lure once a month. Lastly, if you’re looking for a “fun” way to kill a few in the home or out on the deck, get our HAND HELD ZAPPER. These little tools are really handy when dealing with mosquitoes or any other flying pest like wasps, bees or moths. Simply wave the Zapper where the mosquito is flying in a gentle manner and if the mosquito makes contact with the Zappers metal grid work, it will die quick and painlessly. Don’t try to swat them,; this Zapper is not designed to be used like a tennis racket. However, its a great tool to keep at your side when mosquitoes are in the area and you want an easy and clean way to kill them without wasting a lot of energy or making a mess. Mosquitoes have long been an enemy of man and our lifestyle. To enjoy the great outdoors, you must first learn why they are attracted to your land. Once shelter and breeding locations have been identified, choose the best approach to make these locations largely ignored by your local mosquito population. Though Bug Bands and Deet will help out in the field, treatments with Repellent Granules, Dunks, Esfenvalerate or Fogging Solutions will be necessary for complete control. Be sure to get enough “machine” when fogging so the time you spend treating will be minimal and the time you are able to enjoy the great outdoors is maximized. Set out some Blockers for added protection and you just might be able to enjoy the great outdoors during the summer time once again! I LOVED THIS INFORMATION… I read EVERYTHING! But what I was hoping to find – was that there is several choices of additives to water in the case you can’t drain it… ie. salt, vinegar, vegetable oil, etc. and that was effective in mosquito not laying eggs, or the larvae not developing, etc. I have bigger bodies of water that I cannot empty…under the deck(S) big puddles… a well of sorts (not for drinking), etc. Appreciate if you would address this question from my line of thought… perhaps you will say, it’s bad for birds, or dogs, etc? Thank you. In the article above there is a section which discusses three products for standing water. The first two use a bacteria as the active and is safe for any kind of water – even drinking water. The third option uses a growth regulator so the larvae cannot grow to adults. This is the best option by far because it lasts long and gets them all but in fact, each of these work well. Russell M. in Louisiana .. I used my Solo 451 last evening & brother its like night & day difference today .. This morning I had to use my blower to blow off all the midges & water bugs, midges in the thousands & water bugs & spiders in a large number . This evening I have very few buzzing around, but no spiders yet … Just wanted to let you know I appreciate your help & your quick responses & knowledge in the products you suggested..